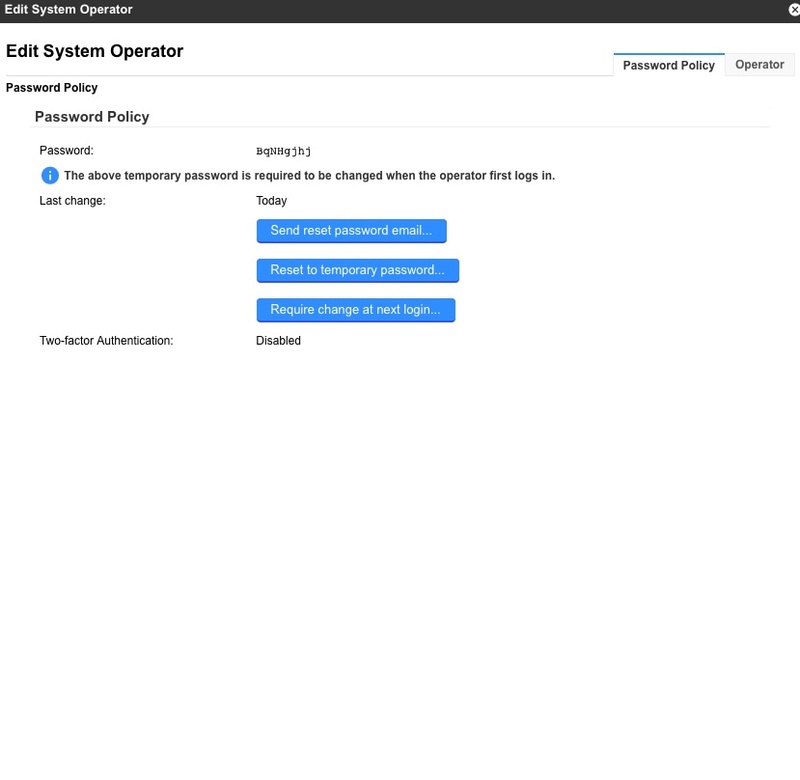 When adding a new office to Backup Intelligence go to “Manage system users” which will be under the “Management” tab at the top of the screen. You will then see the screen shown below. 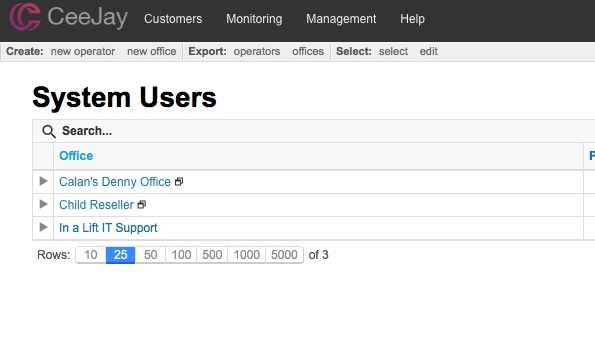 Now click to Create a “new office” which is just above “System Users”. This window will then appear. You now need to enter all the relevant information for this office. Once the information is entered click the save button at the top-right of the window. This window will then appear. 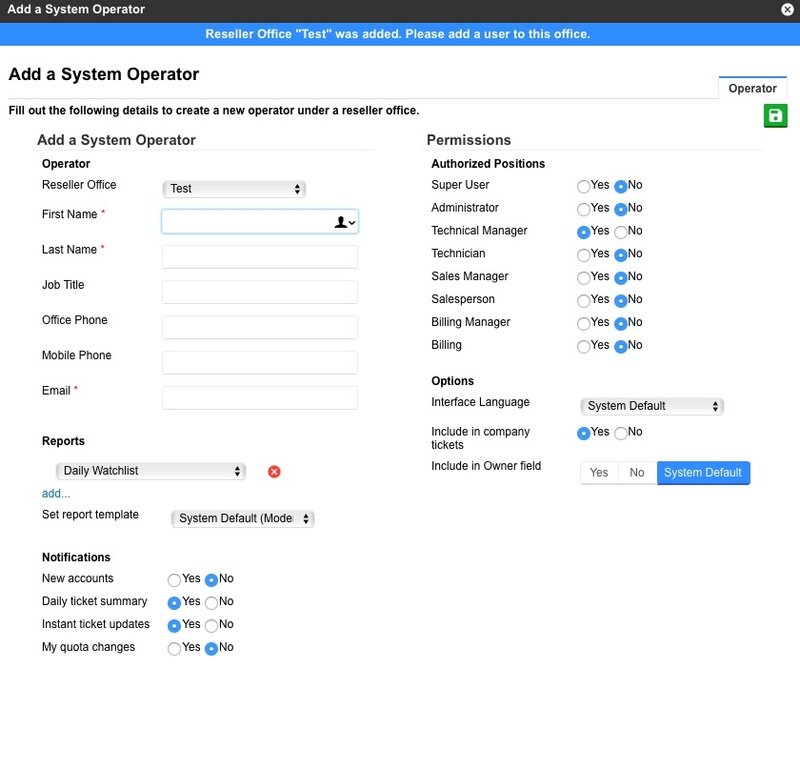 Here you can create an operator with admin roles for the office. 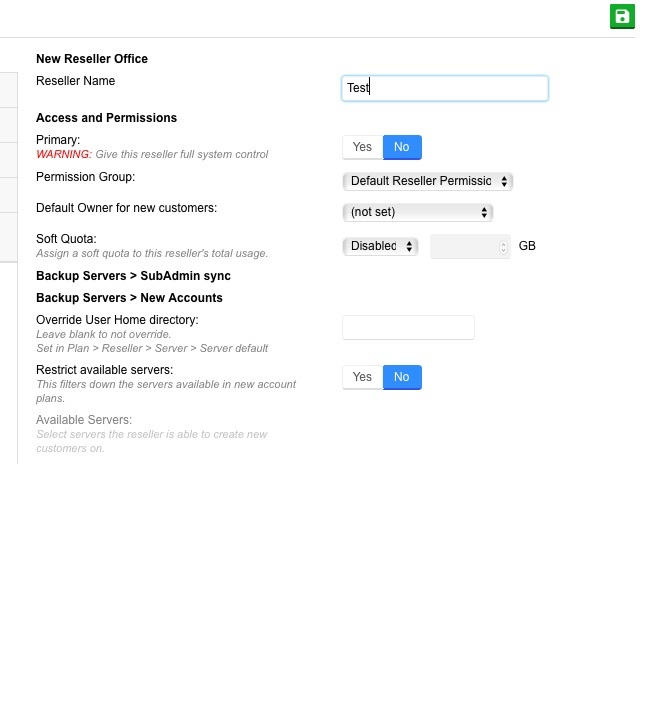 You now need to enter all the relevant information and choose all the correct permissions for this user. When finished click the save button again at the top-right.